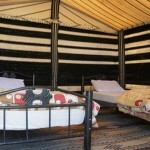 Enjoy the original Ajloun experience in a four-person tented bungalow, with nearby shared showers and toilets. 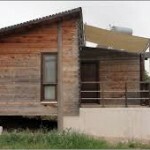 The bungalows are open from April 1st to October 31st. 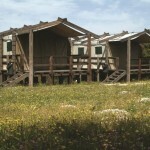 Five beautifully designed cabins provide the perfect way for you to experience nature in luxury. 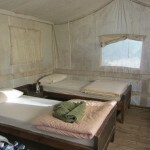 Each cabin has a private bathroom and a small terrace to sit and enjoying the views of the rolling forest vistas. 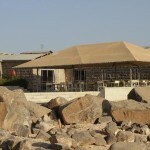 A converted 1940’s British military field hospital, located at the edge of the Eastern Desert, only a short distance from the Azraq and Shaumari nature reserves, provides comfortable and characterful accommodation, all rooms have a/c and private bathrooms. The onsite restaurant is run by a local Chechen family while the rest of the staff are Bedouin. 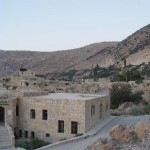 This beautifully styled building is unlike any other in Jordan, mixing ottoman village style with more modern aspects. 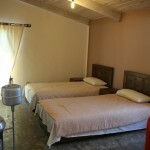 It has 9 rooms with shared bathroom facilities. 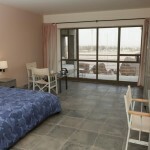 Most rooms have private terrace that offer spectacular views over the surrounding area. Located in the heart of the reserve area, what was once a favored Bedouin camping area, occupied every summer season for goat grazing. 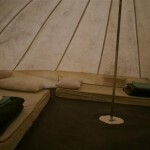 The campsite contains 20 large tents that can house up to 60 people, bathrooms, and barbecue grills for visitor use. 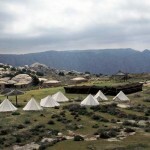 The campsite is open from 15th of March to 31st of October. 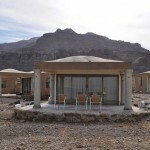 Isolated from paved roads and electricity supplies, Feynan is a new concept in environment-friendly accommodation. 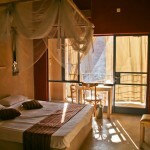 This solar-powered lodge is exclusively candle lit with limited electricity in bathrooms and the reception only. Meals are completely vegetarian, created from fresh local ingredients. 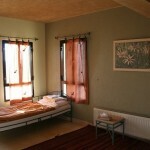 Booked on an all-inclusive basis only – accommodation, meals and selected activities. We enjoyed our trip very much. The Dead Sea was awesome and the hotel good standard esp the buffet! Please pass along our thanks to all of the drivers who were so friendly and helpful…..they certainly made our stay memorable and the quality of their hospitality often surpassed that of the hotel staff.